This brings to mind a wedding ceremony surrounded by a garden full of beautiful blooms, lots of rose petals everywhere, and aromatic scents. If you have your wedding in an actual garden, very little decoration will be required because nature will provide it for you. Western-style rustic weddings and country-themed "I do's" have been a popular trend for many years, and they are still popular today. 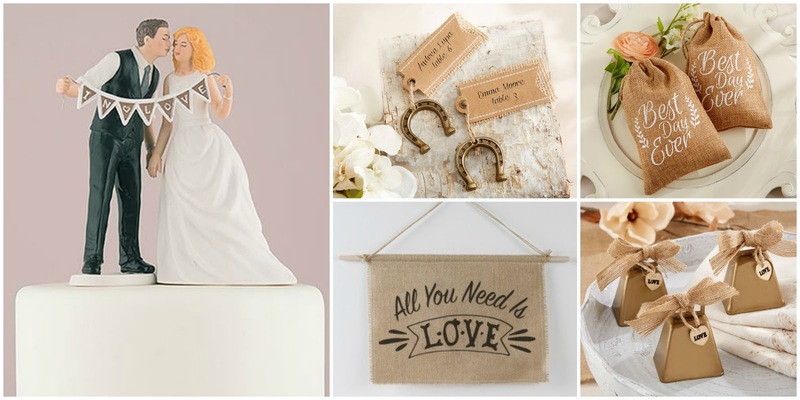 Burlap and lace, lucky horseshoes, and lots of natural elements make this style charming and romantic. It's the perfect theme for a wedding on a ranch or in a barn. If you prefer a relaxed, casual feel full of love, music, and art, then a Boho-chic wedding may be just what you are looking for. 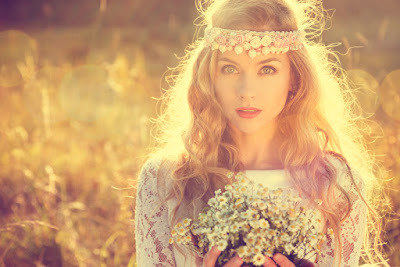 Flowers in your hair, and long, flowing gowns on both the bride and her bridesmaids. 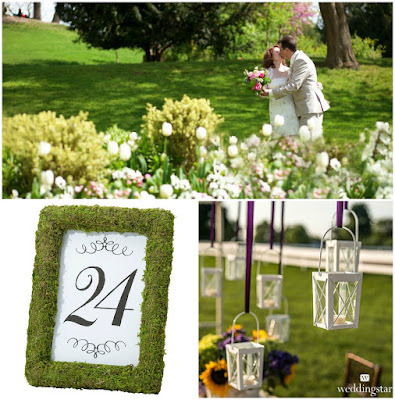 The decor will be very nature-inspired, and all of your guests will feel welcome and right at home. The wind in your hair and the sand under your feet. A beach wedding with the water as your backdrop is always a stunning sight. 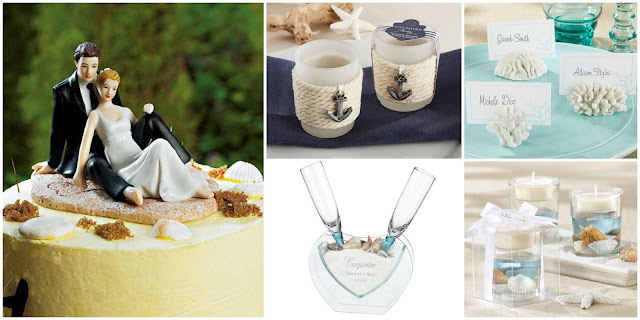 Make use of nautical elements such as sea shells, starfish, rope, and sunshine. Nearly every little girl dreams of being whisked away by her handsome prince at some point. 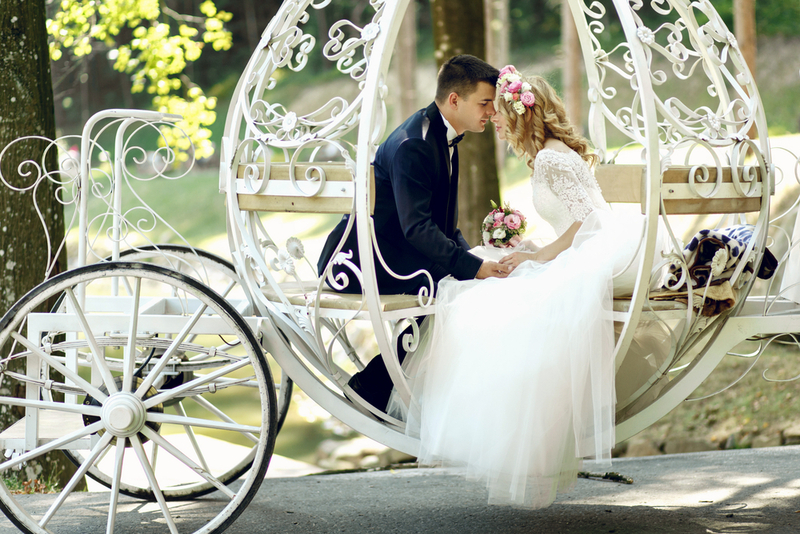 Make that dream a reality with a romantic fairy tale theme to your wedding. Take inspiration from your favorite storybooks, and at the end of the evening, drive away to your own happily every after. This is an event full of old-world romance. Antique decorations and family heirlooms create the perfect setting. Classic cocktails at the bar are a nice touch, and broach bouquets fit in beautifully. Consider renting a glamorous classic car to whisk you away after the reception. Metallics have been all the rage this year. 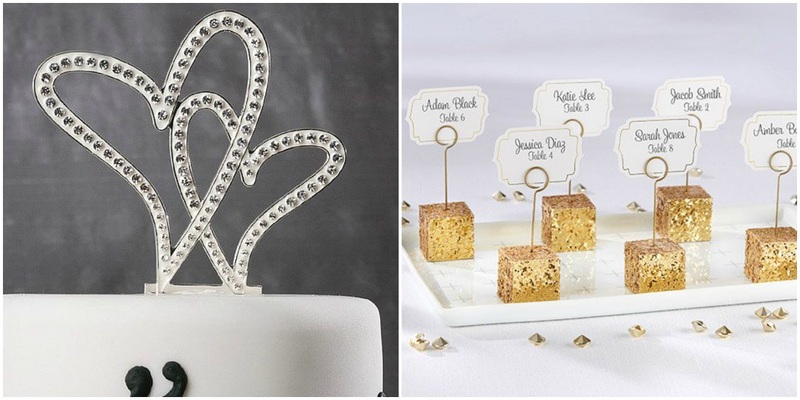 A wedding highlighted with shiny golds and silver and glittery accents will put all of your guests in a fun, party mood. Any color works beautifully with these, both in brights and pastels. Choosing a theme for your wedding doesn't have to be difficult. Start with things that you love and a "theme" will emerge on its own. Our online wedding accessory store is filled with wonderful things that will inspire the most amazing wedding. 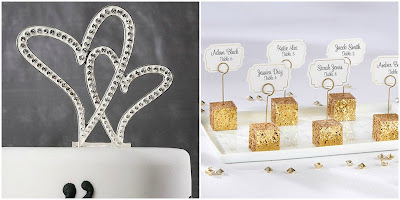 WhereBridesGo.com is where brides go for what brides love!